This recipe calls for kielbasa. You might not have heard of this Polish sausage yet, but it's a popular and traditional food usually served at Polish weddings! It's a tasty and smoked sausage that is great with so many recipes, such as casseroles, stews, or even sandwiches and appetizers! It's a twist compared to the usual ham or bacon we put into our casseroles. Take note that you'll need a slow cooker and a Crockpot liner for the recipe to easily cook this dish with no mess and with the best flavors. The recipe serves six to eight people and the cook time takes three to six hours, depending on the slow cooker's setting and your preference. Combine the chicken broth and cream cheese, letting it warm together until the cream cheese has melted. Transfer this sauce to the crockpot. Combine all the other ingredients in the Crockpot. You can choose to cook it on high for three to four hours, or on slow mode for six hours. It may take up to seven hours in slow mode. You will know if it's cooked once most of the liquid has been absorbed. Allow it to cool in the appliance's warm setting, and serve! You see how easy it is to make? It only takes a few minutes to prepare! Once you have combined all the ingredients, allow it to cook in the appliance while you work or run errands and you can go home to a delicious meal. If you want to give your casserole a bit of a health kick, then I recommend that you prepare a salad about an hour (or less) before it is ready to be served. Both casserole and salad will make the meal become healthier and have the whole family feel fuller! Who doesn't like bread? I love pairing my casseroles with warm and crusty bread, which I eat together with the casserole. It's also great to scoop up a bit of the thickened sauce so I won't be wasting food! The crusty bread complements the savory sausage and sharp flavors of the Pierogi. If you're not a huge fan of plain salads and have more time to spare, take a few minutes to prepare your favorite vegetables and make a stir-fry, softening it up a bit to have it match the casserole. Broccoli works best. I sometimes add greens to the casserole itself, with snap peas being a personal favorite. I don't recommend that you add too much sauce to the casserole, as it would dry up anyway, but there have been people who add a bit of sauerkraut while cooking, which puts a tangy and interesting taste! Read more: What Do Scallops Taste Like? The Surprising Answers Here! And there you have it! If you don't want to waste time and money having to look for the usual restaurant and get takeout, practice your cooking skills by starting off with this easy slow cooker meal. You can prepare it for work and have the delicious and tender sausage casserole by the time you get home. It's a perfect dinner for busy weekday nights, may you be living alone or with your family. I hope that this Crockpot Pierogi Casserole with Kielbasa recipe inspired you to explore the kitchen and your slow cooker. So don't wait any longer and try this recipe out today! 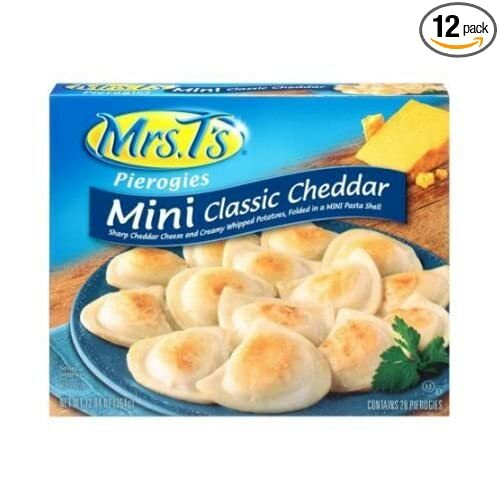 If you have any questions or would like to share your tips and experiences with making a Crockpot Pierogi Casserole with Kielbasa, then comment down below. I would love to hear what you have to think.